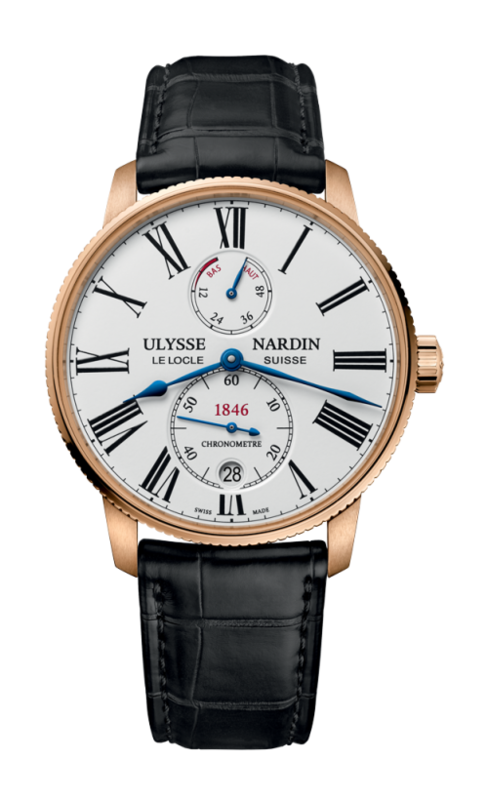 Ulysse Nardin Torpilleur Rose Gold. 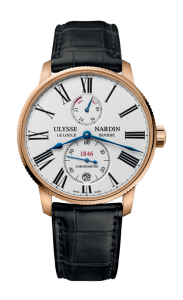 Polished rose gold, 42mm case, Ulysse Nardin in house automatic movement with silicium technology and 60 hour power reserve indicator, and exhibition case back. Available on elegant crocodile leather strap with folding rose gold buckle.